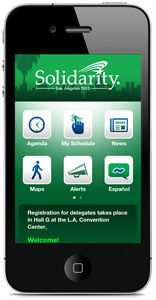 Download the AFSCME Convention smartphone app. Available for both iPhone and Android. The AFSCME Convention app will give attendees instant access to schedule changes, news and alerts, area maps, transportation information, video and more.